Making a tradition of going on a romantic getaway on each trip is a simple way to improve your relationship with your partner. Having adult conversations and being able to indulge yourself at a spa can make for an exceptional experience. This is especially true if you visit a place as special and luxurious as Innisbrook Golf Resort in Tampa, Florida. My husband and I went on another of our couple’s getaways. We love doing this whenever we visit my parents in the US. They get quality time with their grandsons and we get some much needed rest. 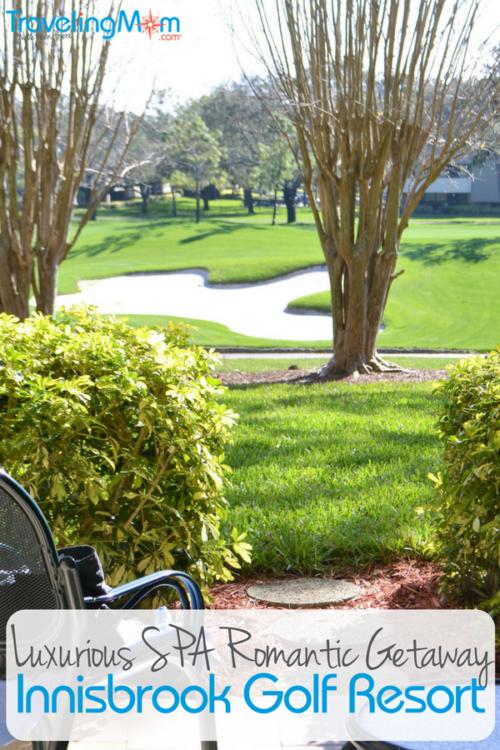 This time we decided to stay in Tampa, Florida, at the Innisbrook Golf Resort. This ended up being much more than just a couple of days away. This time, we went all out and enjoyed a luxury element or two with our trip. 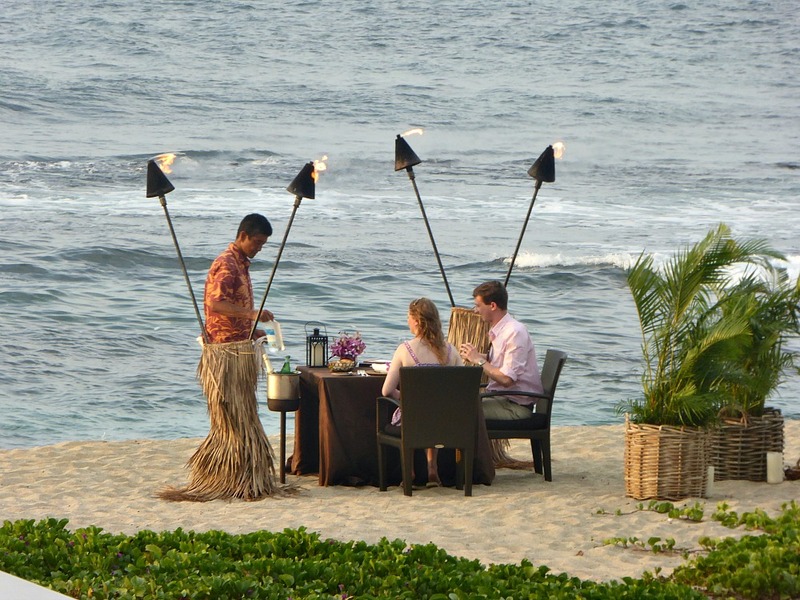 What are the Best Ways to Spoil Yourselves on Romantic Escapes? It was a couple of days filled with 5 star dining experiences and indulgences at their spa. One of the things that my husband and I enjoy occasionally, even when we are home, is to take couple’s massages. 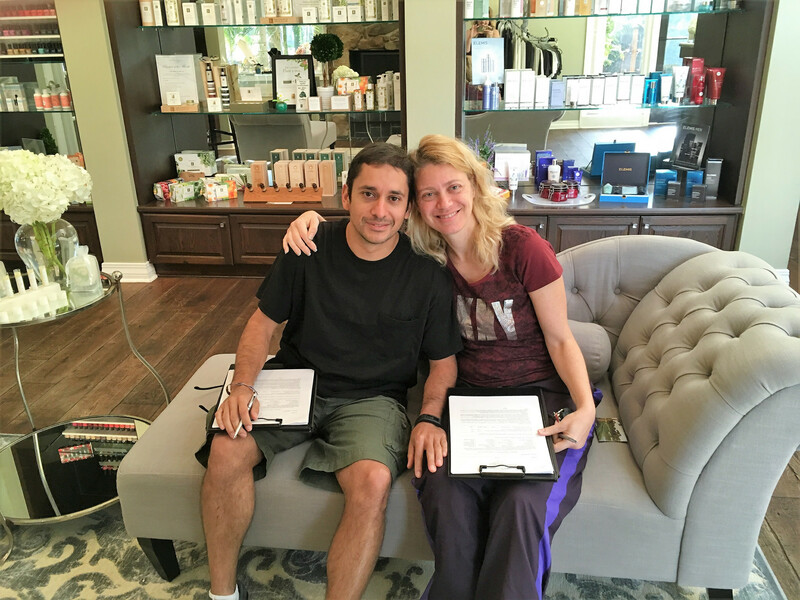 On those visits to spas, we learned that they are much more than the service that they provide. The massage itself might be great but if the staff isn’t nice and the location not appropriate, the experience won’t be memorable. 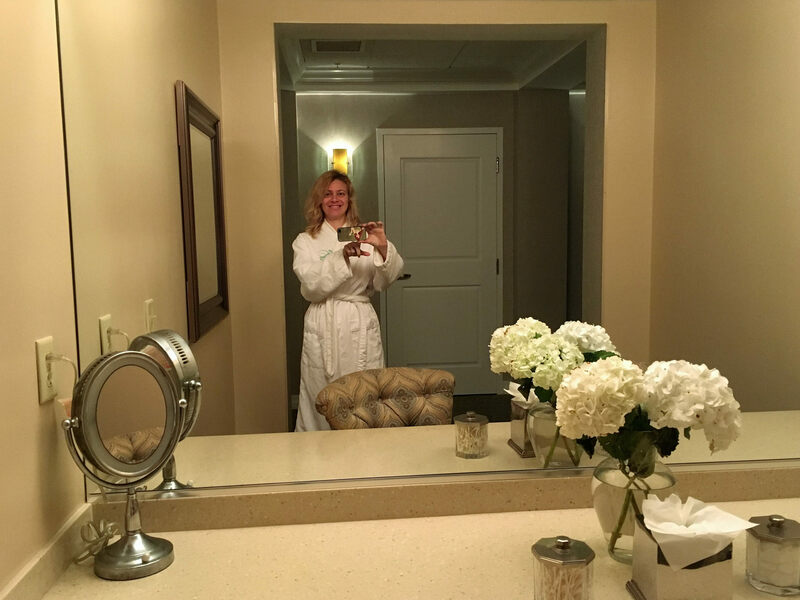 Salamander SPA & Wellness Center at Innisbrook turned out to be much more than just an awesome 90 minute couple’s massage. 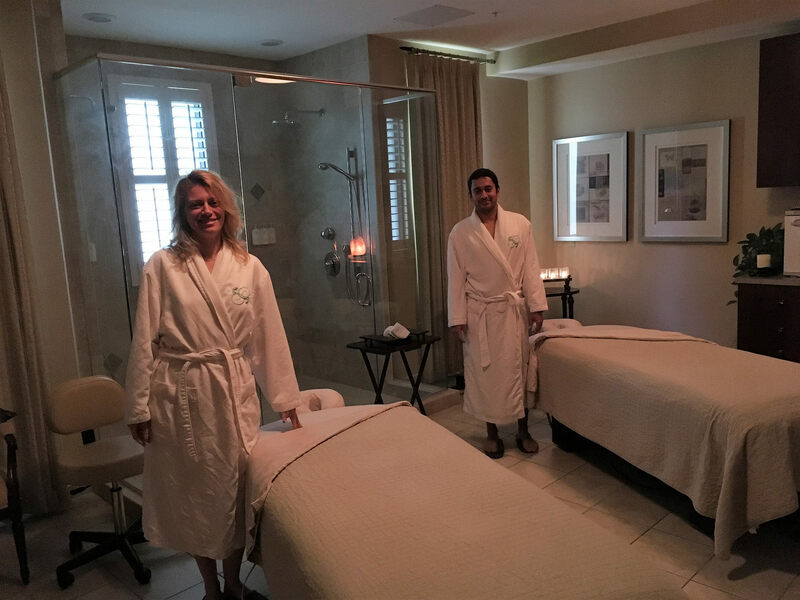 What made it such a special experience was the exceptional service from the whole staff, from the front desk to the masseuse. They made us feel like a queen and king. All of the tiny details and the extra things that they did made us feel so welcome. But even while they were doing their best to keep us happy, it never felt fake. It was all so genuine. I could feel they enjoyed doing it. That treatment made the experience so different from other spas, so pleasurable and so fun. I would recommend the Salamander SPA to everyone! Another aspect that I enjoyed was their SPA service menu. There is a long list of services for you to choose from, making it a great excuse for going back a couple of times during your stay. After our couple’s massage, we decided it was time for a good meal, so we headed to Packard’s Steakhouse within the hotel. We chose that restaurant because we never get steak at home. It is something we eat only if we go out. This is such a rare occasion that whenever we decide to go dining at a steakhouse we look for one with amazing reviews, the top of the top. And Packard’s Steakhouse DID NOT disappoint. Innisbrook Resort has several fantastic restaurants on site. So no need to worry if you don’t like steakhouses. Their chefs are award winning and renown for their artistic creations. I ordered one of my favorite dishes, the bacon-wrapped jumbo shrimp. This one was absolutely heavenly. My husband went for the lamb chops. I am not a big fan of them but in this case, they were so good that I ate almost half of them. They literally melted in our mouths. If you like butter, you have to try their home made butter. It was to die for! TravelingMom Tip: If you come here, you need a big appetite. The menu is extensive and the portions big. I’m glad I hadn’t eaten for the largest portion of the day before we headed to the restaurant. After eating my shrimp, I couldn’t resist ordering their tender filet mignon with lobster. The lobster isn’t an option in Guatemala (where I live). I have visited tons of their best restaurants and so far I haven’t found lobster which I love, so I have to eat it when I find it! My husband also ordered a second dish. He finally had the chance to taste buffalo meat. After both of these heavenly dishes we were full, but we weren’t going to miss out on desert. Now that I look back on that meal, I am so happy that I had some. Those pastries were worth every calorie. 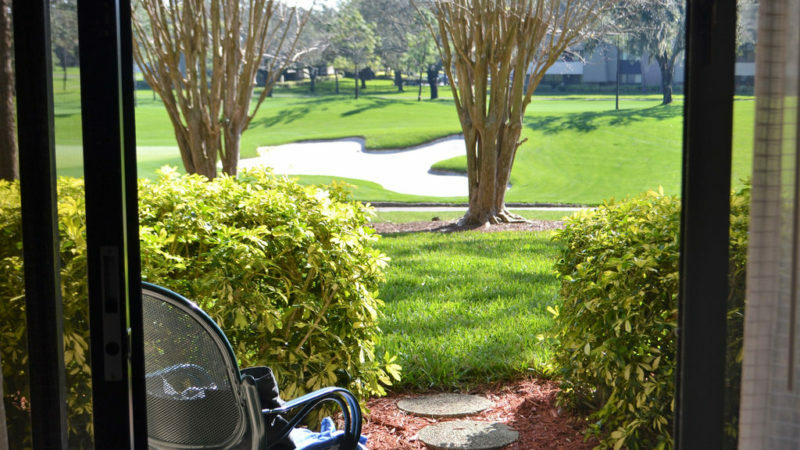 If you are ever in Tampa, Florida I would definitely recommend a visit to this golf resort. You won’t be disappointed by their one day services.